As a video forensic expert, CCTV enhancement (closed circuit television) is a day to day practice we perform on video recordings from both digital and analogue surveillance systems. Often times, the courts we testify in want to know how to enhance security camera videos. In the following post, Video Forensic Expert describes CCTV enhancement and how to enhance CCTV camera videos to retain quality and clarify the recorded events. We will also cover the basics to best practices to ensure the most successful and accurate forensic video enhancement. CCTV Enhancement is done using non destructive techniques to preserve the video evidence integrity and pixel quality. Some of the most requested forensic video enhancement are licence plates. Clarifying or enhancing the events as they occurred assists the trier of fact to make determinations about the video events. As a video forensic expert we are asked to enhance recordings used as video evidence to clarify the events as they occurred. Video recordings used as evidence can be enhanced regardless if they were recorded during the day or at night. The success of the CCTV Enhancement is directly proportionate to the quality of the video recording. We can perform a preliminary analysis to make sure we are confident in meeting our client’s expectations. Often times we are asked to provide forensic image enhancement as well for identification purposes. We use various software programs and CCTV enhancement tools to help us enhance or clarify (clarify is a much better word use in the courtroom) the desired video images. We create customized filtering to sharpen the video image and remove video noise for identification and enhancement of the images in the CCTV Surveillance video. How to enhance video quality? 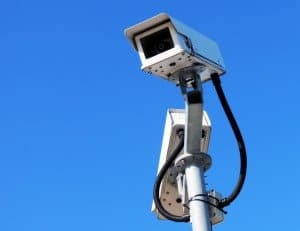 A variety of CCTV Enhancement techniques are applied in different arrangements on CCTV surveillance video recordings, smart phone video recordings, law enforcement dash camera recordings as well as other types of recordings used as video evidence. The most important ingredient to this scientific process is to maintain the highest quality of the video recording and establish a chain of custody. This yields the highest success possible throughout the investigation. If the analog video or digital video file has undergone additional compression, this video evidence will be limited to the enhancement possibilities. Scaling/Pixel Interpolation: Re-size, or scale an image or video to a larger resolution to further identify suspects. Sharpening: Enhances the edge contrast of an image or video. Warp Stabilization: This is most common today with smart phone video evidence. Reduces the amount of movement from the user that created the video evidence. Shadow and Highlight Adjustments (Exposure): Reveals subtle detail in the shadow and/or highlight areas of your images. Frame Averaging: Increase the quality of the image by combining data from surrounding frames as well as a better signal to noise ratio (SNR) in your images or videos. Speed Reduction: Decrease the original playback of video evidence to view the events as they occurred in more detail. First, take the necessary steps to preserve your original CCTV recording. You may have various export options for extracting the CCTV video from your system that you are not aware of. By preserving the original evidence, the opportunity for questioning the integrity of the CCTV video diminishes. This is especially true if the video recording is extracted from the original system. You can also consult a video forensic expert about the best methods and file format exporting options that your CCTV system is capable of. Second, if a crime has been captured on a CCTV video system, you will want to export a copy for the local police. Most consumer based CCTV camera video systems have easy to follow instructions for exporting AVI files (courtroom ready format) directly to mobile storage. Most consumer based CCTV camera systems require a flash drive storage medium to export to. These drives are easily available at any office supply store like Office Max or Staples. The AVI formatted video is also easily view-able by an video forensic expert or investigator for immediate review. CCTV enhancement is done using various software programs by a trained and qualified professional like video forensic expert. Pixels are enlarged, or otherwise adjusted, in order to bring out the necessary details or information about the crime that was committed. Most CCTV systems and their cameras have night vision that will record clear images of events as they occurred for forensic enhancement. If you have a video that you question or need help understanding, please give me a call for a pro bono conversation. I apply my forensic expertise to cases in the United States and many countries around the globe. Any and all formats of audio and video accepted. Retainer agreement available on request; travel expenses will be quoted in advance excluding meal expenses and flat rate time for travel instead of hourly. Call 800-647-4281 in the USA or +01-248-853-4091 Internationally. This entry was posted on Monday, September 30th, 2013 at 10:51 pm	and is filed under CCTV Video, Forensic video enhancement. You can follow any responses to this entry through the RSS 2.0 feed. You can skip to the end and leave a response. Pinging is currently not allowed.